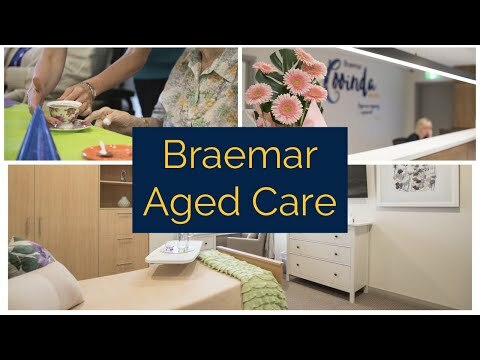 At Braemar, we believe in providing high quality relationship centred aged care, supporting the bonds that exist between our residents, their families and our team. At Braemar House our dedicated and passionate aged care team are on hand to support our residents to live a fulfilling life. Our expertise includes aged care services specialising in Dementia Care, Palliative Care, Emotional Support and Spiritual Care. Each Braemar location has an active resident enrichment program. Braemar House offers a friendly and engaging lifestyle for each of our residents. Designed as a homely residential facility, a dedicated team of professional staff provide quality services for up to 58 residents in the beautiful leafy suburb of East Fremantle. Our offering includes a 24-room specialist care service called Lee House, which is designed to support individuals with high care needs. All residents at Braemar House have access to beautiful landscaped courtyards, dining rooms, lounge areas, activities rooms and a shared TV room. At Braemar House, residents’ rooms are finished in a classic style, while large windows let in lots of natural light. All rooms come with a comfortable bed, window dressings, a robe, shelving space and a seating area for residents and visitors to enjoy.